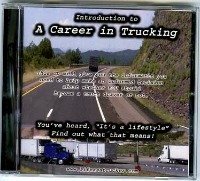 The Life of a trucker is stressful, rewarding, taxing, tricky, unique, dangerous, adventurous, lonesome, exciting, challenging all at the same time. What other occupation can cover such a colorful range? It's definitely not for everyone. It takes a certain type of person to endure the ride. To live the life of a trucker requires a strong will, body, and mind. No matter how late you get loaded you got to deliver your freight on time. A relationship with God helps with your relationships at home, a relationship with God helps with being alone. 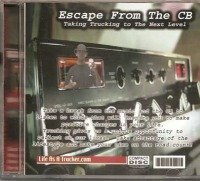 As a trucker you experience the good, the bad, and the ugly of constantly traveling from city to city, county to county, state to state and coast to coast. Through the sun, the rain, the wind and the snow, meeting people from all walks of life, some totally opposite from yours. Then every so often, you run across someone over the road from your very own back yard. Someone you knew years ago and forgot until you met again by shear chance 2000 miles or more away from where you first met and sometimes from where you both grew up. There is nothing like the life of a trucker. Hey every line doesn't have to rhyme!